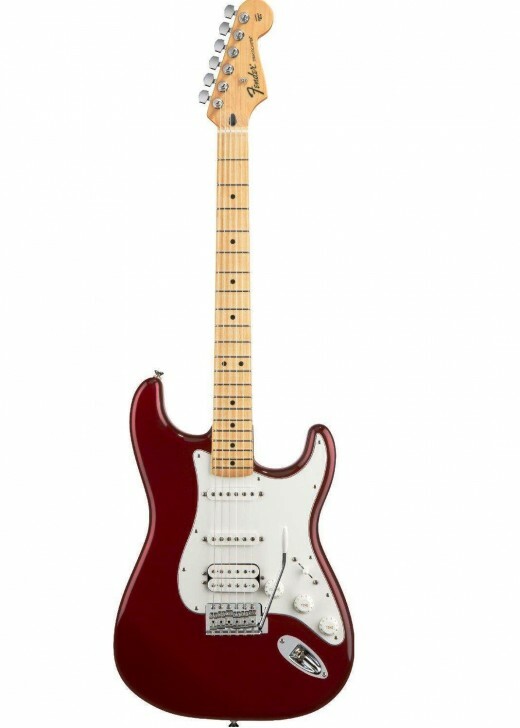 The Fender Standard HSS Stratocaster offers versatility and power in an affordable package. The Fender Standard HSS Strat is the best way for guitar players on a budget to land a real Fender Stratocaster with a hot humbucker and two single coil pickups. Standard HSS Stratocasters sound amazing, look as cool as the their American counterparts and have what it takes to get the job done jamming in the basement or onstage at the club. You probably already know this, but Standard Strats are made in Mexico, and instruments in the Fender Standard Series are often referred to as Mexican or MIM Fenders. And, you may know this too, but HSS stands for Hum-Sing-Sing, or a humbucker and two single coil pickups. Now that all the newbies are up to speed, let's get down to business. I have a bunch of guitars, and I've played and owned countless others during my career. Over the past few years the Fender MIM HSS Strat has been my main instrument, and in this article I'm going to tell you why. 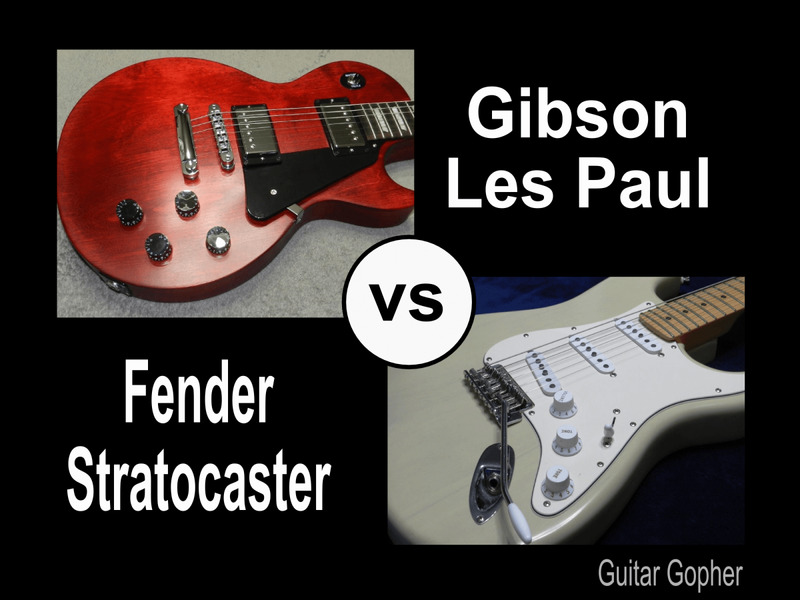 Maybe this will help you decide whether or not it is the right guitar for you! So why do I dig the Standard HSS Strat so much? One reason is value. I believe the Fender MIM Strat is just about the best intermediate-level guitar you’re going to find. The only other instrument that gives it a run for its money is the Epiphone Les Paul Standard. The good news is they are very different guitars, so you can justify having one of each! I also like that I can grab a real Stratocaster for less than half the price of the American-made version. If anything ever happened to my Strat I’d be devastated, but I can also replace it without straining the family budget. Third, the HSS pickup configuration gives me a great deal of flexibility and an array of available tones. I get all the bluesy, glassy sounds I like from the single coil pickups, along with the thick crunch of a humbucker in the bridge position. But there are other reasons I highly recommend the Fender MIM Strat, and this review will cover them all. So check it out, and decide if the Standard HSS Stratocaster is the right guitar for you. 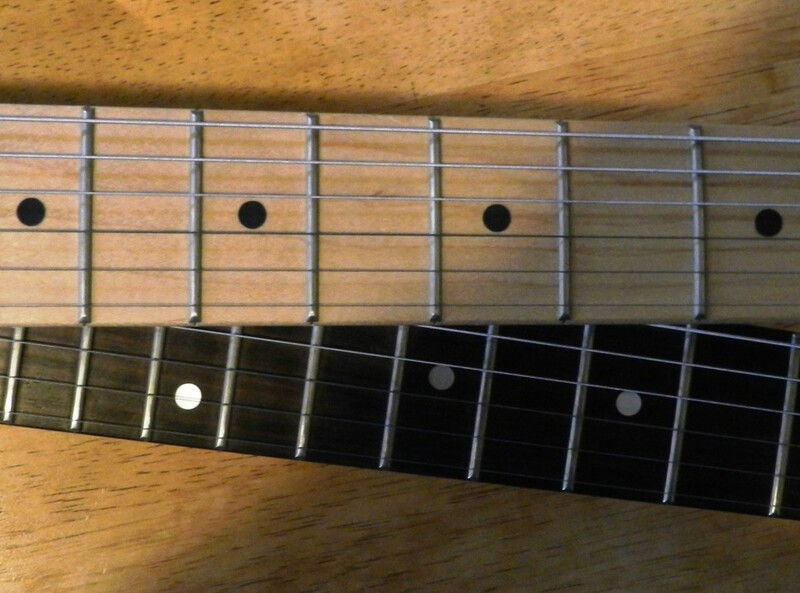 There are a few differences that separate the sound of the Mexican HSS Strat from the American. The most obvious one is pickups. An American Standard HSS Stratocaster comes with a pair of Fender Custom Shop Fat ’50s pickups and a Fender Diamondback Humbucker, where the MIM Strat comes with pickups Fender refers to simply as Standard Single Coil Strat and Standard Humbucking pickups. That makes it seem like there’s no contest, doesn’t it? It’s tough to beat Fender Custom Shop pickups, but the stock MIM Strat pickups make a good show of it. They give you the classic Fender tones where they should, in each of the five pickup positions. If you’re a tone geek you’ll notice they aren’t as rich and full as the American Fender pickups, but if you are one of those guitarists who believe most of your tone is in your hands, you won’t miss much. In fact, I have another Strat with Fender Custom Shop Texas Special pickups, and, frankly, I like the stock MIM pickups better. The other thing that impacts the tone is the construction of the guitar itself. There are countless rumors and myths surrounding the way Fender decides which guitars get which tonewood pieces, and what exactly lurks beneath the finish of a Mexican-made Fender. My advice? Don’t worry about it. It really doesn’t matter if the body is two pieces, or three pieces, or eighteen pieces if you like the sound of the guitar. And it doesn’t matter if Fender sends “inferior” tonewood blanks to Mexico and keeps the good ones for the American guitars. What does matter is things like the finish. Mexican Strats get a polyester finish, where American instruments get a Urethane coat. This probably does account for some of the improved sound of the USA-made Stratocaster, as does the high-mass bridge block used in the American version. If you get hung up on these things, by all means don’t settle for anything less than an American HSS Stratocaster. But if you feel like spending a whole lot less and still ending up with a great Strat, MIM is the way to go. HSS vs SSS Sound: What's the Difference? So why choose the HSS pickup configuration instead of the classic SSS setup? A humbucker in the bridge position offers the thicker tone often sought in heavier forms of rock music. Single coil pickups in the bridge position tend to have a thinner, brighter sound. If you play country or blues this might be just what you're looking for, but for rock and heavier forms of music, the humbucker is what you want. Guitarists knew this even back in the '70s. Guys like Eddie Van Halen started slapping humbuckers on Strat bodies to get the thick tones they liked from guitars like Les Pauls, combined with the playability of a Strat. Fender apparently got the hint somewhere along the way, and began to produce Strats with the HSS configuration. This also paved the way for the Super Strat revolution of the 1980s, which led to the rise of now-legendary guitars like the Ibanez RG and Jackson Soloist. One of the benefits of choosing a MIM Fender is that you can swap out the pickups to something better without feeling like you're compromising an expensive guitar. Personally, I've found no need to do this so far. The neck pickup is glassy and smooth, just like a Strat ought to be. Its sounds amazing with clean tones, or with a touch of overdrive for that SRV blues sound. While the guitar does not have the depth you'd expect from a Les Paul or any mahogany or basswood-bodied instrument, the bridge humbucker does has a very thick sound suitable for metal. I have an affinity for Strats with maple fingerboards. As you may know, just like the American version the MIM HSS Strat is available with either a maple or rosewood fingerboard. It a matter of preference, and neither is better than the other. Rosewood generally has a rounder, warmer sound where maple is a bit more crisp. I prefer maple because I like the high-end definition it seems to bring, but also because I really like the way it feels. I have a Strat with a sweet maple neck and fingerboard with rolled edges. Yeah, that neck is a little better than the one on my Mexican Fender. The MIM Fender neck is chunkier and feels more substantial. So don’t expect the precision of a USA-Strat with the neck, but I can’t complain about it. The guitar plays very well, and the neck feels solid and fast. I’ve had the guitar for a few years, so I hesitate to say too much about the feel of the instrument, since this is the type of thing tends to vary from year to year. But I can tell you in several years of using the Mexican Strat as my main guitar it hasn’t let me down yet. The hardware and electronic are solid, and except for taking the output jack plate out and tightening the nut now and then (a common Strat issue) I’ve not had to make any repairs. There are a lot of sad tales of quality control issues for guitar in this price range. Obviously this isn’t problem I’ve had, but it can happen, even with an American-made instrument. Always be sure to purchase from somewhere with a solid return policy. Fender gives us so many options when it comes to the Strat. That’s a good thing, but it can also be confusing. So here’s my advice: Make your decision based on logic, not hype. It’s way too easy to get caught up in the bull thrown in guitar forums, or peer pressure from your buddies, and let them convince you the only way to go is an American Fender Stratocaster. Maybe that’s true for you, but if it is let it be because it’s really what you want, not because you think you’ll be looked down on for playing a Mexican HSS Strat. That’s nonsense, and anyone who thinks less of a player because their instrument isn’t expensive enough needs to reevaluate their priorities as a musician. On the other hand, if you don’t want to spend a lot of cash, but you do want a solid guitar that sounds great and will stick by you for years to come, the MIM HSS Strat might be the way to go. I know if I end up in a band tomorrow it will be the guitar I play. I have no hesitation about that, even after all these years. Hope you found this Fender Standard HSS Strat review useful, and good luck with your new Strat! Is the Fender Standard HSS Strat Right for You? Do you prefer the HSS Stratocaster or the SSS version, or even a Strat with dual humbuckers? Hi Ron! 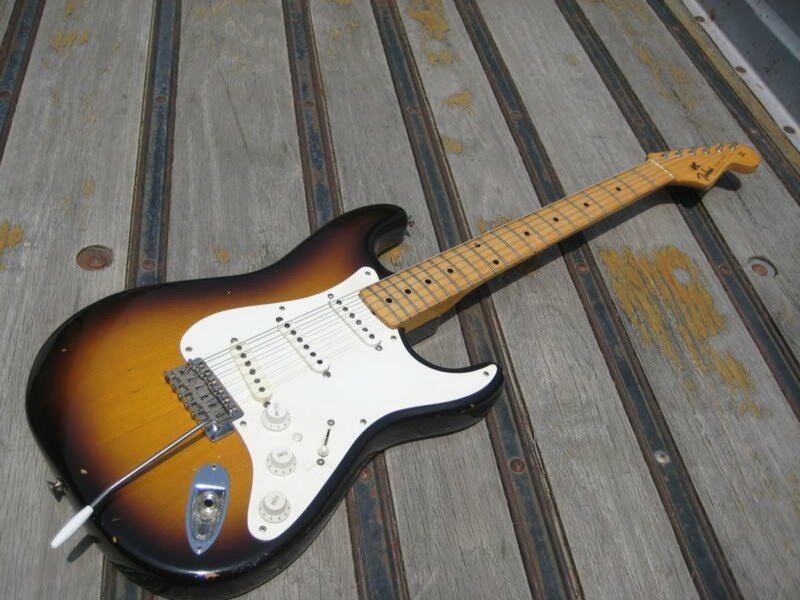 To me the newer SSS Strat would be a better deal, as long as it is in good shape. But you have to ask yourself how much the humbucker matters to you. Do you play a lot of hard rock and metal? If not, the SSS would likely be fine for your needs. Especially since it seems like you've never owned a Strat before, you might want to experiment with those SSS sounds. In my opinion it comes down to personal preference and how much you want the humbucker. Good luck with your decision! For the same money, I have chance to purchase 2003 HSS MIM or a year old MIM SSS. $300. The new one purchased for someone who gave it up for drum lessons.. I suggest experimenting with different heights to see what you like best. I have a Mim standard strat sss and obviously the pickups are different than the American so when adjusting pickup height we can't go off of Fenders recommended settings for the American Standard so what is the recommended place to adjust the pickups on a mim standard? Good information. I am thing about buying my 17 year old grandson an electric guitar but do not want to spend a lot of money unless he sticks with it. Nice hub.